Every now and then I have the fortune to find out not only brands that I don't know but also ones with heritage and made in Italy. You do know that fashion wise I'm divided between the Uk ( Brighton and London mostly) and Italy ( Rome most of all but not only). Last week in my inbox I was sent a press release about the upcoming e-commerce launch of a bags and accessories brand - Ripani - that it's been on the market for 45 years and its SS15 collection. I'm pretty sure that I've come accross their bags before but, to be completely honest, the name sounded new to me, even though it is available worldwide as far as the the Dubay Mall! A volte ho la fortuna di scoprire non solo brand che non conosco ma che hanno una storia e sono Made in Italy. Sapete che io ed il mio blog siamo divisi tra il Regno Unito ( Brighton e Londra principalmente) e l'Italia ( Roma sopratutto ma non solo). la scorsa settimana nella mia inbox mi e' stato mandato il cs del lancio del sito di e-commerce di un brand di borse ed accessori - Ripani - che e' sul mercato da ben 45 anni. 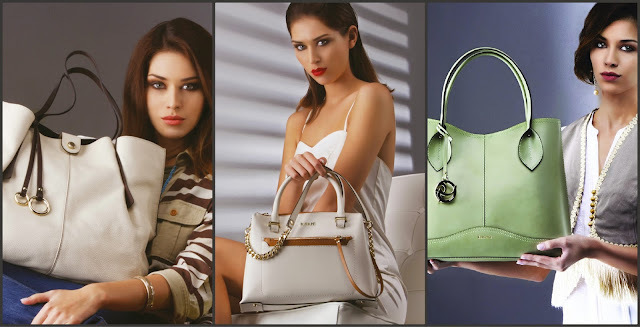 Sicuramente ho visto le loro borse in passato ma, ad essere completamente onesto, il nome del brand, fino ad oggi, mi e' suonato nuovo, nonostante le sue collezioni siano disponibili a livello internazionale e perfino nel Dubai Mall! !